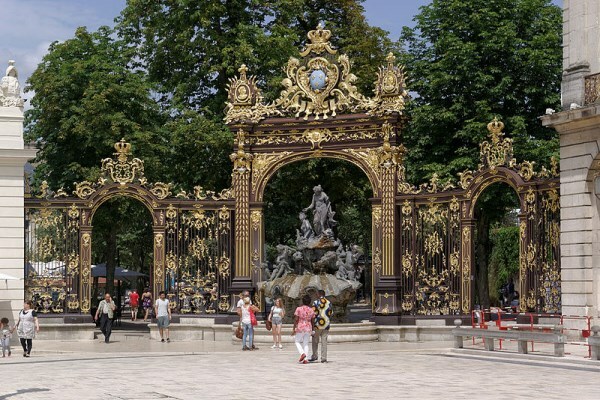 Nancy is famous for its splendid Place Stanislas, at the centre of the old city, with its monumental fountains and gilded grilles. Nancy occupies a major place in the history of Art Nouveau, as can be seen in the architecture of some districts and the works on display in the Museum of the Nancy School. The city also has many gastronomic specialities such as quiche lorraine, pate lorrain, mirabelles, macaroons and of course its bergamots! Every year in October, Nancy hosts the Nancy Jazz Pulsations Festival, which is a festival for jazz and world music. 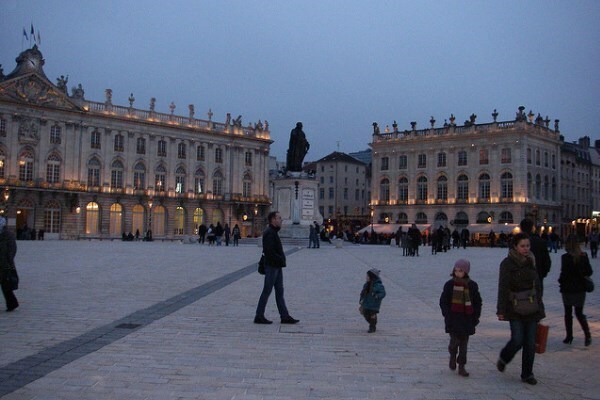 Nancy used to be the capital of the Duchy of Lorraine. 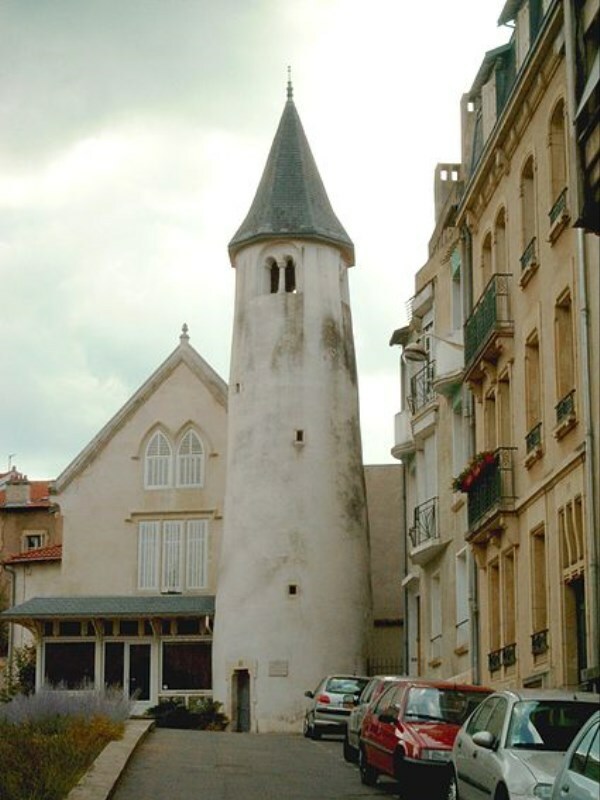 It was founded recently, during the 11th century. 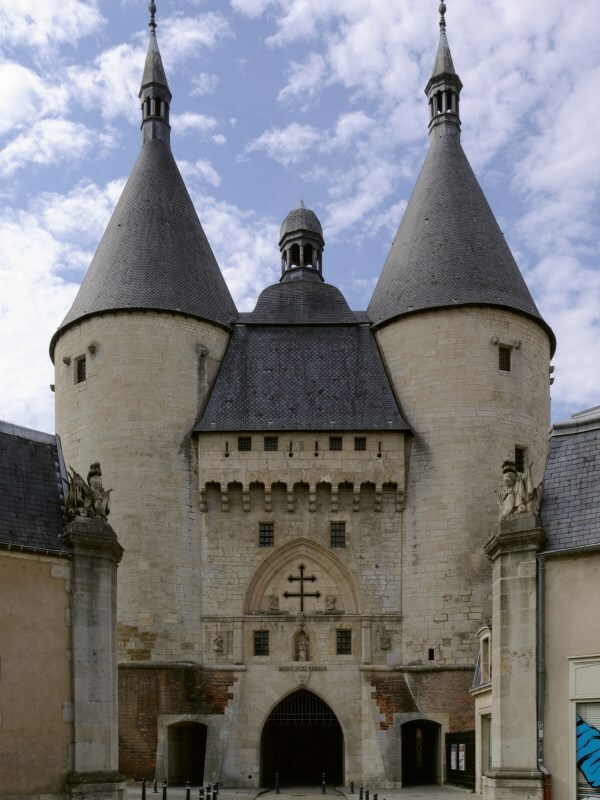 In the medieval old town, you should visit the Place Stanislas (named after the last duke of Lorraine), Saint-Jean-du-Vieil-Aître Commandery Tower, and the Sacré-Cœur basilica. Here is a list of some of the many cultural events occurring in Nancy: every two years, in May, the Passages festival, which focuses on Eastern Europe theatres, lasts a few days; in September or in July, the Teranga festival celebrates local and international solidarities; in September, the Aye Aye film festival is an international outdoor short movie competition; in July and in August, the Nancyphonies glorify classical music; last but not least, in December, Saint-Nicholas feast brings the whole town together. As for the gastronomy, Nancy is famous for its bergamot, a local candy made out of the bergamot fruit, also for the quiche Lorraine, the rum baba, the bouchée à la reine, the mirabelle, the madeleines, and the macaroons. 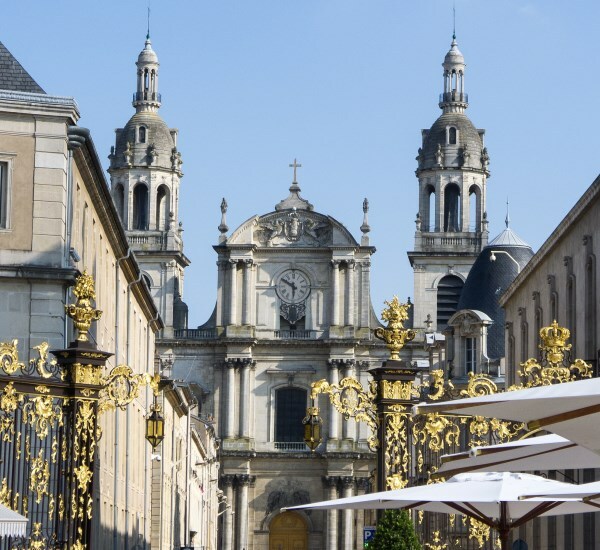 Nancy has a continental climate, with contrasted temperatures. Winters are cold and dry, and summers are rather warm, but not really sunny. Average temperatures are 1.9°C in January, and 19.4°C in July. Visiting Nancy is an opportunity to be a gourmet: you'll be delighted by the local specialties! 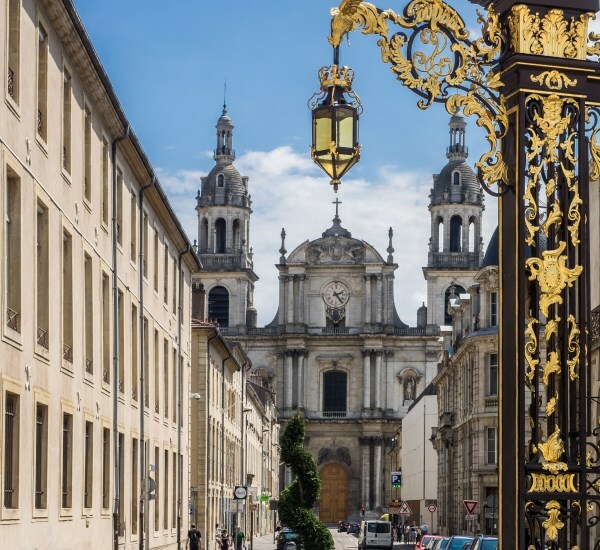 Nancy was made for history lovers: indeed, it is rich in important buildings and medieval monuments. Enjoy! Low budget: 35€ per night in low season, and 38€ in high season. Mid-range: 50€ per night in low season, and 53€ in high season. Luxury: 109€ per night in low season, and 112€ in high season. The railway station area is very convenient, especially if you carry much luggage. 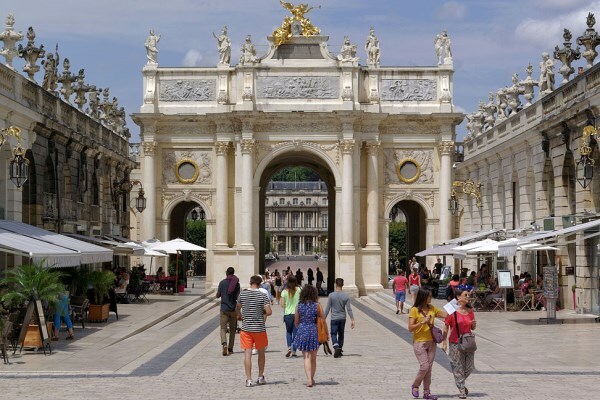 The borough of the Place Stanislas is the nicest in town, and it also benefits from a central location.